Are you in love with Marie Kondo and Tidying Up on Netflix? Me too. I have been KonMari’ing for quite some time. It started a few years ago when I first bought the book The Life Changing Magic of Tidying Up. 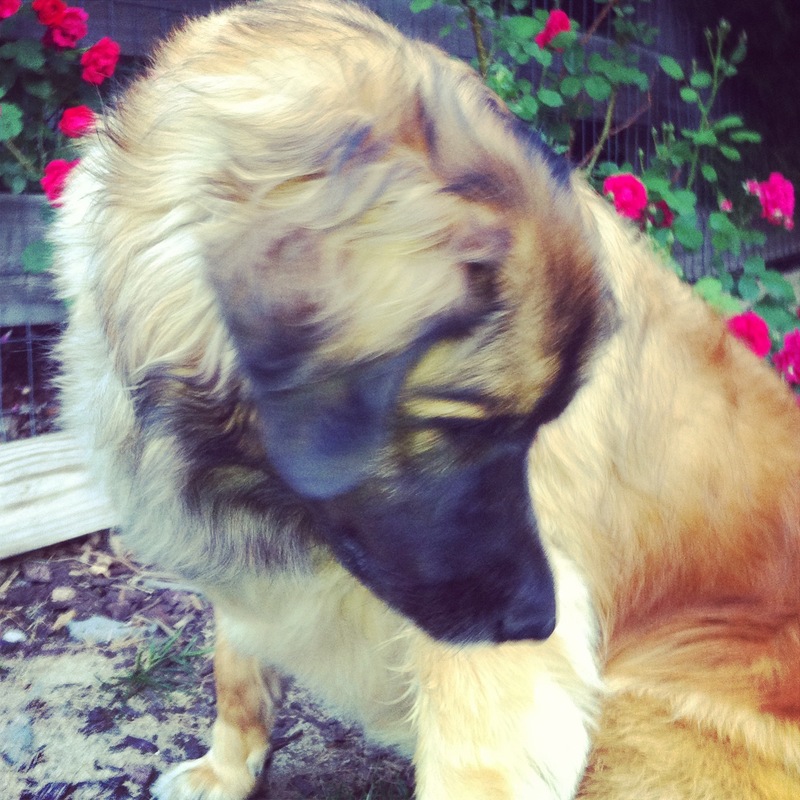 These days I still have areas that fall out of disarray and no longer spark joy and I need to do regular maintenance. 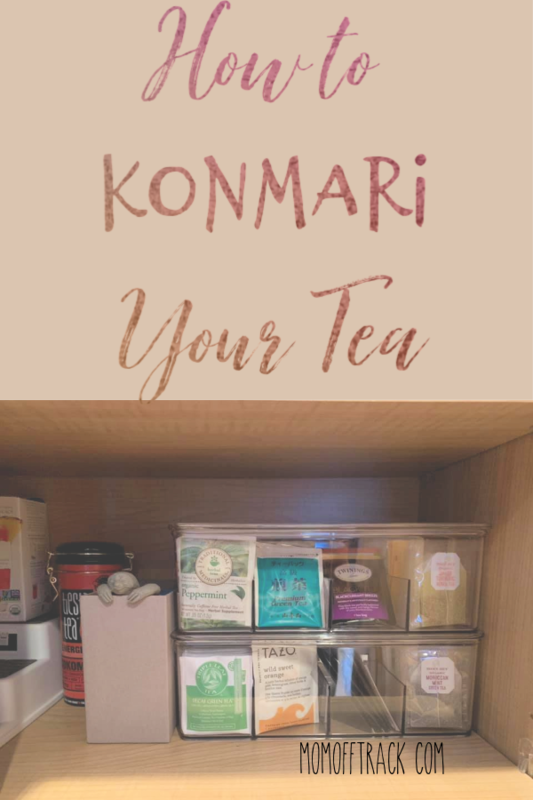 Which brings me to today’s project…how to Konmari your tea bags. I wish I had taken a before photo but imagine a bunch of half used, ripped open, some expired boxes of tea bags shoved in a cabinet shelf. That did not spark joy for me AND I kept buying more tea because I never knew how much was in those cardboard boxes. I came across this great tea organizer on Amazon and I knew I had my answer. I quickly counted how many boxes of tea I had and knew I probably needed two to organize my tea bags. 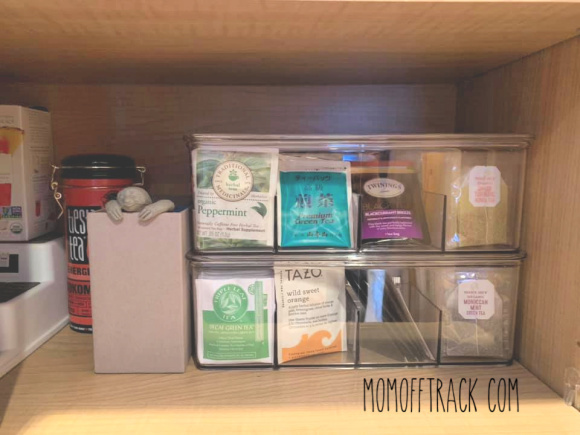 In true KonMari fashion I reused one of my Teavana boxes to organize my collection of strainers, including the cute little sloth that makes me laugh every time I open that cabinet. You should always strive to use the boxes you have around the house before buying something new. I felt good that this was a mix of both. Do you love making your cabinets fun to open? I do too. This was another of my favorite Konmari projects I did…How To Organize Your Measuring Cups. Check it out if cute organizing ideas spark joy for you too!